I'm pleased to introduce my newest vesion of "LADMO". 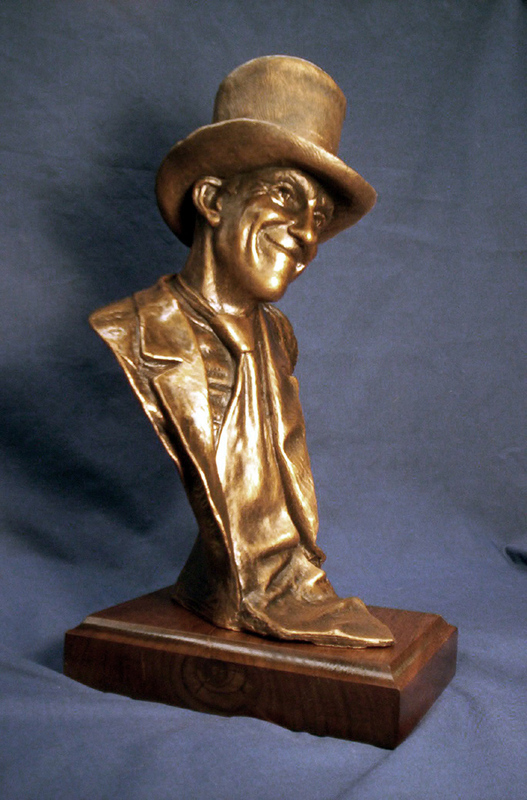 I created the 1/4 life size bronze version of our hero sitting on a park bench several years ago(see it by clicking on the "PORTRAITS" button on the home Page) and I have decided to take part of that original sculpture and make it available as a bust and produced in a very affordable resin casting. The piece is 12" high on it's hardwood base and finished in a beautiful bronze tone patina. I'm making it available to the fans for $295.00 plus $25.00 shipping. For another view of this piece click here on Detail. To order just click on the Contact Us link for our easy to use order form.